Abdiasis Hirsi is an ESL instructor. He currently teaches at Wellstone International High School in Minneapolis. Mr. Hirsi is a proud alum of the EAST/CUE Scholarship Program at Augsburg University. He has a Bachelor of Arts in English Literature from the University of Minnesota – Twin Cities. 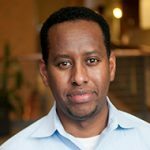 Mr. Hirsi has a passion for working with English language learners (ELLs) and is committed to creating an equitable, safe, and engaging learning environment where all students are supported and prepared for post-secondary education and employment. Ahmed Hasan is a special education teacher pursuing licensure and a Master of Arts in Education. Ahmed completed his student teaching in the fall of 2015 and currently works at a charter school in Saint Paul. Hasan is an actively involved community member and serves as a board member for a charter school and a number of community organizations. 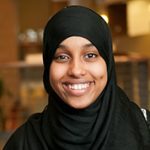 Asma Ibrahim is a senior at Augsburg University, pursuing a K-6 elementary education licensure. She loves to work with children and volunteers at the local daycare in her community to prepare for her future. Ibrahim is currently student-teaching at Cedar Riverside Community School. 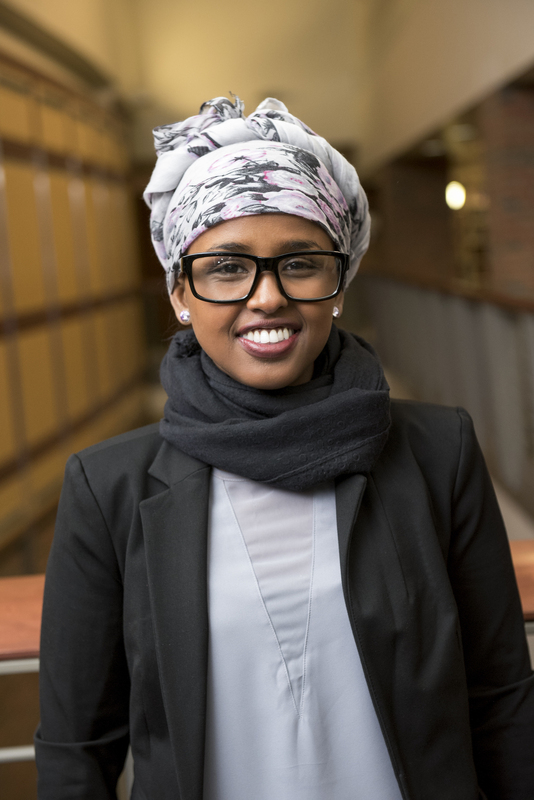 Ayan Mohamed is an EAST alum and a graduate of Augsburg University with a bachelor’s degree in secondary education. Ayan completed her student-teaching in the spring of 2016 and is currently pursuing licensure. 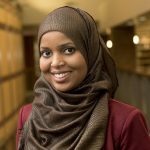 Ayan is passionate about increasing English literacy among East African youth in the Twin Cities, particularly those in the Somali community. 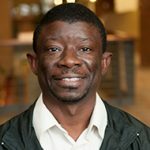 Ebenezer K. Flomo is a graduate student at Augsburg University in the Master of Arts in Education program with a Secondary Education license in social studies. He completed his student teaching in the fall of 2014 and recently received his teaching license. Ebenezer currently works as a substitute teacher in suburban St. Paul school districts as he completes his master’s courses. 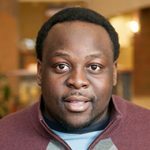 As an EAST leader, he has been invited to speak at the University of Minnesota’s College of Education as part of a monthly series called “Diversity Dialogues” and the NCTE (National Council of Teachers of English) annual convention in November 2014. Fowzia Ahmed is a graduate student pursuing a Master of Arts in Education (MAE) and a license in English as a Second Language (ESL). Fowzia currently works at Universal Academy Charter School as a 2nd-grade teacher. She loves teaching her students and is thankful for the opportunities Augsburg provided her as she pursues her career in the teaching field. Fowzia graduated from Wayne State University in Detroit Michigan with a BA in Language Arts/French. She believes that Augsburg has prepared her adequately to teach and is current student-teaching this semester. Mida Salad is an MAE student at Augsburg University pursuing K-12 Special Education Licensure. Salad graduated from the University of Minnesota in 2011 where she majored in Sociology and English. Mida previously taught in fifth grade at Metro Charter Schools and mentored at an after-school program for minority students. 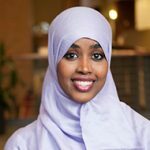 Ms.Salad has a personal interest in breaking the stigma that Somali parents have of special education and its services. Salad believes that learning can only take place with the collaboration between students, teachers, and parents. 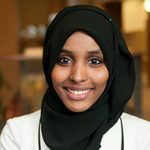 Mida is currently student teaching at Hennepin Elementary School in Minneapolis. 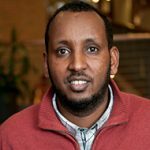 Ibrahim Aden is a master of arts in education (MAE) graduate student at Augsburg University, working on K-12 English as a Second Language (ESL) licensure. He graduated from Al-Azhar University in Cairo, Egypt, with a BA in secondary education. Aden has been a K-4 Arabic teacher at Twin Cities International Elementary School in Minneapolis for the past eight years. He is also an elected board member and a policy committee member at the school. Aden also taught ESL in Saudi Arabia for two years and K-12 English Language in Kenya for three years. Aden plays a prominent role in the East African community throughout the Twin Cities and abroad. Ismail Haji is an undergraduate pursuing his English as a Second Language (ESL) licensure. He completed his student teaching in the spring of 2016. For the past three years, Ismail served as the executive director of Abubakar As-Saddique Islamic Center. He has taught many children literacy in Arabic and Somali languages. He was motivated to become an ESL teacher after seeing English language learners struggle and experience obstacles. Haji also wants to establish educational institutions that will improve the academic skills and life standards of low-income minority students. Maristella Omanyo is a special education teacher at Eden Lake Elementary in the Eden Prairie School District. Maristella student-taught in the spring of 2015 and obtained Academic Behavioral Specialist (ABS) licensure at Augsburg University. Previously, she served as a special education paraprofessional in the Eden Prairie School District for eight years. Maristella has experience teaching students with special needs. As an individual of East African descent, Maristella believes that the EAST scholar program will provide great opportunity and cultural awareness to the Augsburg University community as a whole. 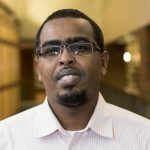 Osman Ahmed is an MAE graduate student at Augsburg University, pursuing a secondary licensure in social studies. 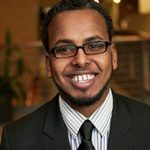 Ahmed comes to EAST and Augsburg University with extensive experience as a connector between the Somali community, government, and nonprofit organizations. Ahmed’s passion for education started at a young age and he has been doing youth mentoring and educational leadership since high school. 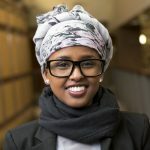 Osman is the co-founder of the ShantaLink, the first and only known Somali-American-run scholarship program, which offers scholarships to high school seniors who plan on attending colleges and universities in Minnesota. Currently, Osman works as a community organizer for Keith Ellison, the U.S Representative for Minnesota’s 5th District. In his spare time, Osman loves to run, play basketball, read, and volunteer. Osman is set to student-teach in the spring of 2017. 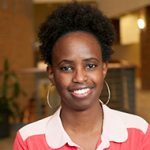 Saido Mohamed is an EAST alum and MAE student pursuing English as a Second Language (ESL) licensure. She earned her BA in English from the University of Minnesota. 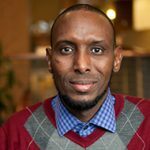 Mohamed has extensive experience working with English language learners at various schools and community centers. Currently, she works with sixth graders as a paraprofessional at Metro Charter Schools. She has a passion for helping ESL students bridge the learning gap and achieve academic success. As part of the first group of students in EAST, she is determined to help increase the number of minority teachers in schools. Saido completed her student teaching in the fall of 2015. 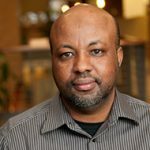 Salah Ali is an MAE student at Augsburg University, pursuing a teaching license in 5-12 Mathematics. He currently works as the Nutrition Program manager at YouthPrise. He completed his undergraduate degree at the University of Minnesota in Agricultural Food Business Management, and shortly after graduation had a change of heart and decided to become a teacher. Salah will be student-teaching in the fall of 2017 and is looking forward to it. Samsam Warsame is an EL Teacher in the NABAD Program at Ann Sullivan Communications Center. Samsam recently obtained her license in English as a Second Language (ESL).She earned her undergraduate degree in Family Social Science, with a minor in Family Violence Prevention from the University of Minnesota-Twin Cities. Samsam completed her student teaching in the spring of 2016. Previously, Samsam worked in the Minneapolis Public Schools as an associate educator. Outside of school and work, Samsam volunteers for an Early Childhood and Islamic Preschool program at Building Blocks of Islam, and mainly works with ages 3-5. Theodore “Ted” Ngeh is a kindergarten teacher at North Park Elementary School in the Columbia Heights Public Schools. Ted is a proud EAST alum with an Elementary Education licensure. Ted completed his student-teaching in the fall of 2014. Previously, Ted worked as a long-term substitute teacher at American Indian Elementary in St. Paul. Zamzam Mumin is an EAST alum based in Rochester. She is pursuing a master of arts in education degree and holds an ESL K-12 licensure. She completed her student teaching in the spring of 2016. Zamzam has worked with a variety of students, ranging from elementary school to high school. She currently works as a director at Solar Academy. With the skills and knowledge, she gains from the MAE program, she plans to introduce preschool and kindergarten courses in the daycare in which she works.